Investigators have released an updated voice recording and video of the suspect not previously released that was extracted from slain 14-year-old Liberty German’s cell phone. Recording of unknown subject in Indiana homicide investigation saying, "Guys ... Down the hill." On February 13, 2017, Abigail Williams, age 13, and Liberty German, age 14, were hiking on the Delphi Historic Trail near the Monon High Bridge just east of Delphi in Carroll County, Indiana. Abigail and Liberty were reported missing to police after their parents were unable to locate them at the pick-up location. Volunteers subsequently discovered the girls’ bodies in the woods east of Delphi in Carroll County, Indiana, on February 14, 2017. 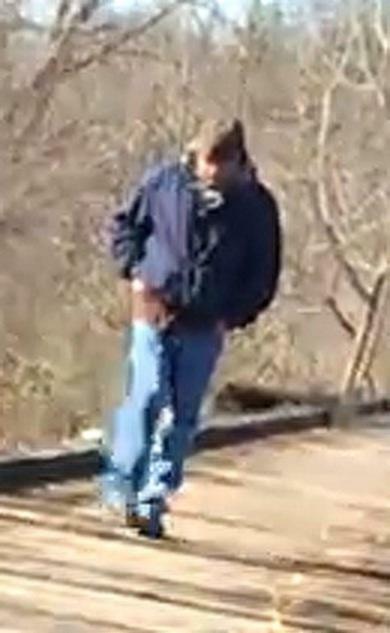 Investigators have distributed a photo (shown above) of a person observed on the Delphi Historic Trail. 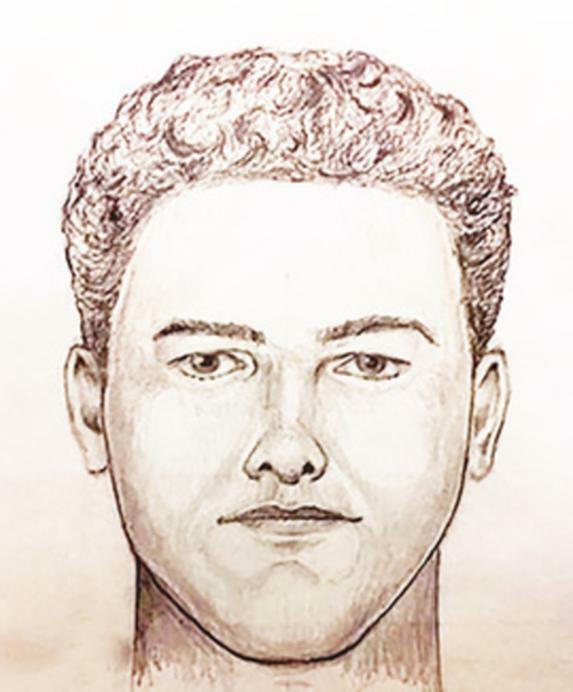 The photo appears to depict a White male wearing blue jeans, a blue coat/jacket, and a hoodie. During the course of the investigation, evidence has led investigators to believe the aforementioned person is suspected of being involved in the murders of Abigail Williams and Liberty German. 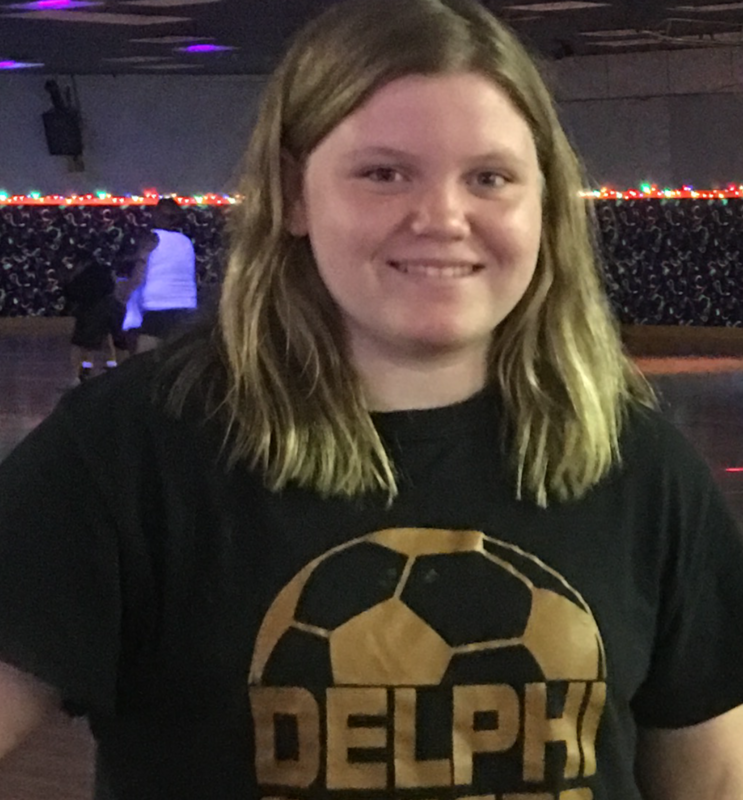 Anyone with information is requested to contact the Delphi Homicide Tipline at 844-459-5786. All information will be taken and followed up on by investigators. All callers may remain anonymous. Tips can also be submitted online via abbyandlibbytip@cacoshrf.com. You may also contact your local FBI office or the nearest American Embassy or Consulate.